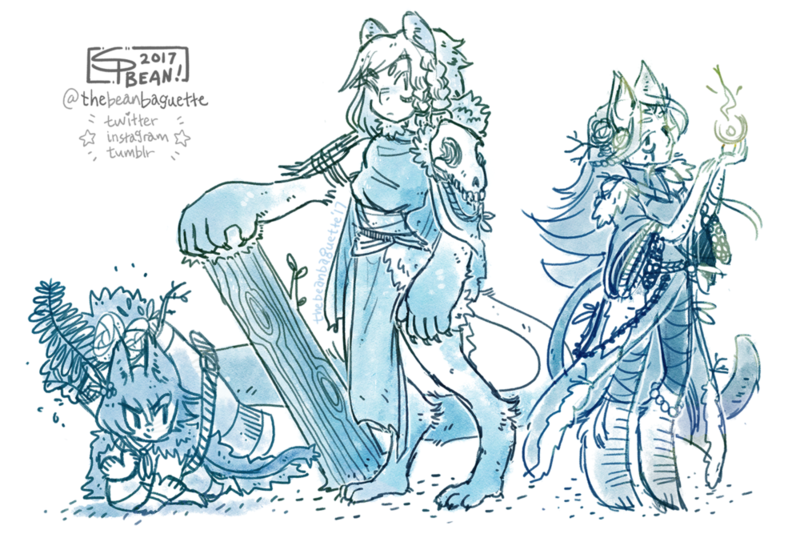 For the month of September, BEANCORP, INC will be on a streaming & Patreon break! As of now, I've been on Patreon for a solid 8 months without break and it's been an absolutely amazing experience. But between family gatherings and international travel, as well as final prep for tabling at Anime Banzai in October, I've decided it best to put Patreon on a break for 1 month so I don't spread myself too thin. Well, starting September 2nd, my Creator page will be put on "pause" and things will resume on October 2nd. This way, you'll be charged on September 1st for July, but not be charged on October 1st for any content (or lack thereof) during September. The next time you'll be charged is November 1st. Will there still be content? I may put up a few sketchbook updates, but there will be no thank-you sketches, weekly blog posts, coloring pages, or wallpaper packs. Any posts I make during the break will be free content, don't worry! Anyway, that's the long and short of it. This is my first time taking a break, so if there are any blips, we'll figure it out together, I promise. Let me know if you have any questions or comments below. I'm so excited to show you what I have in store for the rest of the year! © 2018 Anna Lark - artwork not for reuse, redistribution, or anything else without permission!